Metallic Poly Curling Ribbon makes beautiful spirals for decorating packaging, crafts or arrangements! 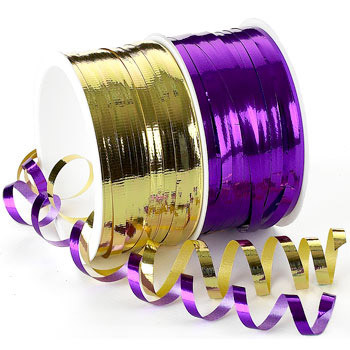 Our ribbon is easy to use and available in over 30 colors in either crimped or smooth textures. Add some fun, color and curls to your next project! The Ribbon Diva offers a large selection of curling ribbon, raffia and cords available in range of sizes and rich colors, these ribbons will add a beautiful finish to any project. 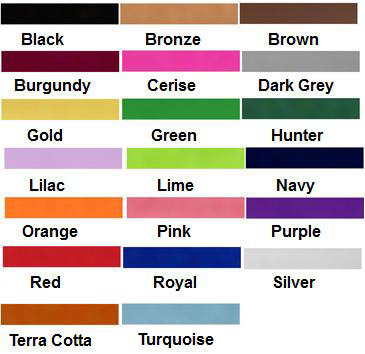 ....Please select Black Bronze Brown Burgundy Cerise Dark Grey Gold Green Hunter Green Red Lilac Lime Navy Orange Pink Purple Royal Silver Terra Cotta Turquoise .